Where to start. Such a long story, a long journey I have traveled. My beginnings were wonderful. I was immensely blessed to be born into the most loving, supportive and unconditional family. But waiting in the wings of life was a disease I knew nothing about. My early childhood is when my tiny body, that should have been growing big and strong, started to wither. The symptoms piled on as the days, months and years passed. I was aware enough to easily figure out that whatever was going on was not normal, nor easy for the doctors to figure out. I was one of the lucky ones that had doctors who believed I was truly sick and never made me feel crazy. But still there were no answers, just support. I tell most people I googled my way back to health. I could not live in a state of desperation and deterioration. I took matters into my own hands and started researching, hours upon hours upon hours. I went through many different types of medicine (Western, Natural, Holistic, Alternative) and each part of that journey brought me one step closer to being healthy and back to the living. But it was like I kept hitting a wall right before the finish line. Long story short I found out that missing puzzle piece was Lyme Disease. And not just Lyme disease from a tick bite 3 days ago on a camping trip, it was Lyme disease from 20 years ago, in our yard playing as a little girl. Chronic Lyme Disease would now be what I was facing. I was quickly put on PICC lines and ports, I have been on IV therapy for 3 years now, along with every Oral med, supplement, experimental therapy and much much more. My motto was, "Whatever it takes, I will do Whatever it Takes". The worst of my days involved loosing the ability to walk, talk, swallow and more. I had a G-Tube in my stomach so I could receive nutrients and I was completely dependent on my Port for all other hydration and meds. I had to learn how to do everything all over again. I would like to say I have come through the worst of it, but there are still setbacks from time to time. One of the most impactful pieces of information I have received from others who are in remission is, TIME. It takes time. Lyme had already stolen so much of my time that I was impatient and unwilling to give it more, but I knew I had to if I was to have a fighting chance. It is such a long battle and endless journey just to get diagnosed, then finding out how you are going to pay for these doctors and meds as everyone has turned their backs on you (Family, Friends, the Medical community, Insurance Companies). Everything is out of pocket. Then it is years of treatments, side affects, and misery (herxing) that is more than I will ever have words for. It is truly unexplainable. and embracing life, were spent in bed begging God to take me home. The one thing that has kept me breathing was singing. Its common sense to understand if you are singing, then you must be breathing, so you must be alive. I had big dreams as a little girl to grow up and become a songwriter. It was the way I released everything going on within me that I did not understand. Through out this journey I have held onto my dreams with a death grip. Lyme took everything, but not this. This was the life preserver God threw out to me in stormy seas. I have truly been blessed amidst these years of suffering with incredible opportunities of sharing my music, my story, my heart. Im sure fame and money are fun, but the joy and peace I have received from this passion I was given are an endless fortune that I am completely content with. So that is where I am at. Starting to heal, finding some balance and picking up the pieces of my career. It was once moving at incredible speeds but Lyme brought it to a screeching holt. I feel angry at times, bitter, but only to realize that those things poison my spirit and hold me back. I have to forgive the tick that stole from me. I have to forgive everyone who has turned their backs on the Lyme disease community. I have to forgive those who do not understand why I did not call them back, why I had to cancel a show, why I am not always the most reliable. I have to move forward and forgiveness will help me do so. Lyme has taught me to appreciate. Lyme has taught me to love even if I do not understand. Lyme has taught me about compassion and perseverance. Lyme will always be a big part of my story, and I hope as things get better, that I can use this gift of music and the stages I am on to share about Lyme and bring awareness so that others might be spared such a suffering journey. Lyme is not who I am, I was a somebody before it. But now that somebody has a new perspective on life and I will choose to make the best of it all. "It was an amazing moment when I wrote this song. I had so many things, thoughts and opinions that I wanted to say but had never given them a voice. So in one song, I broke the rules and let it all out....Enjoy!" "A song I wrote before delivering, trying to find peace with loosing my sweet London." "Breathing was picked up by Stacey Tookey and used on So You Think You Can Dance!" "I wrote it in my most desperate moment looking for relief from the pain. I didn't want to die but I didn't want to go on living like this. I held onto hope that God was listening, and that he somehow was going to make tomorrow better. So, I knew I had to keep myself breathing to stay alive, and the only way I could do that is keep myself singing. So I wrote a song." "Here is In Your Eyes by Peter Gabriel that Ryan and I did in Nashville. You can check both of our music out at www.myspace.com/alisaturner"
links to the right to download her music (lots more on the iTunes link), contact, follow, and Like her fanpage ~ She would love to hear from all of you! 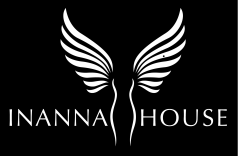 Click on the Twitter icon to tweet about Inanna House, Artist of the Month, and Alisa ~ The more awareness the better!